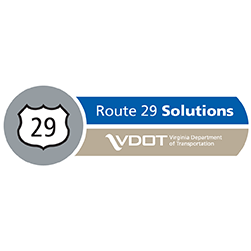 The following work is scheduled, weather permitting, on the Route 29 corridor in Albemarle County and the city of Charlottesville during the upcoming week. Speed limits may be reduced and traffic movements may be restricted within highway work zones. (NEW) Route 29 at Rio Road– Line painting on the depressed lanes at Route 29 and Rio Road. Between 9 p.m. Monday and 6 a.m. Tuesday the northbound and southbound through lanes will be closed while warranty work is being completed to repaint pavement markings on the through lanes. Local lanes will remain open, follow traffic controls and reduce speed through the work area. (UPDATE) Hillsdale Drive Extended – Flagging operations will occur at the intersection of Pepsi Place/Greenbrier Drive/Hillsdale during utility relocation. Expect minor delays.